It's the moment we've all been waiting for: day one of SOLIDWORKS World 2018! After months of anticipation, here's a recap of Day 1 in Los Angeles, CA. 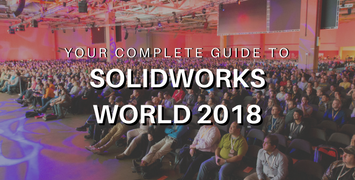 We’re less than a month away from the big event, and the planner in us is busy organizing our agenda before SOLIDWORKS World 2018 kicks off on February 4 in sunny Los Angeles, CA. We are excited to announce the winner of our TriMech Sponsored Giveaway! 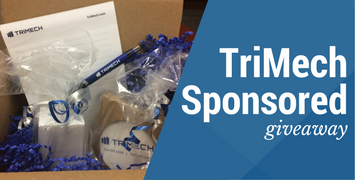 At SOLIDWORKS World 2017, TriMech sponsored a giveaway in honor of the new Stratasys F123 Series product launch. Participants gathered at the Stratasys booth to view the new F370 FDM printer and entered to win a TriMech gift basket that included a $50 Amazon giftcard. TriMech randomly selected one winner, who we are happy to announce is Philip Cathell from Orbital ATK. 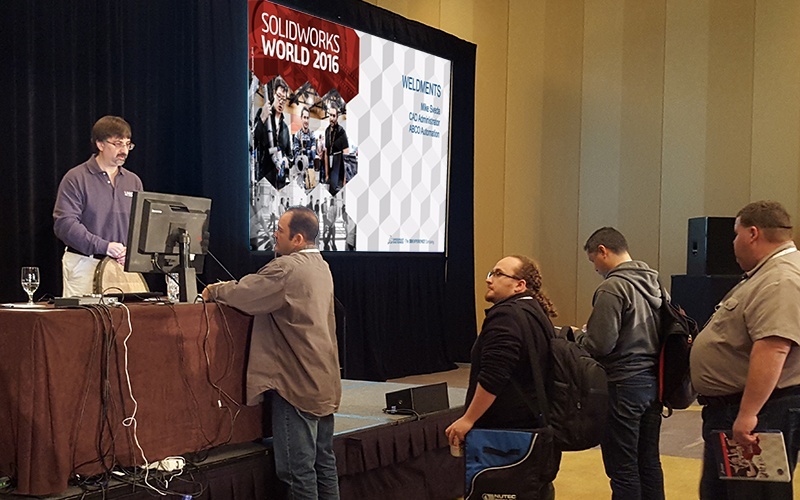 After an amazing opening ceremony and customer appreciation event on Day 1 and an inspiring glance at education and the engineering community on Day 2, you might say the last day of SOLIDWORKS World 2017 had big shoes to fill. It certainly didn't disappoint. After a grand opening ceremony on Day 1, the second day of SOLIDWORKS World 2017 focused on education and the engineering community. Throughout the day there were demonstrations and discussions on virtual realty, STEAM, rovers, SWUG, battlebots and more. 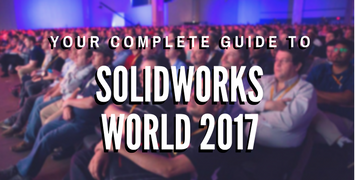 It's the moment we've all been waiting for: day one of SOLIDWORKS World 2017! After months of anticipation, here's a recap of Day 1 in Los Angeles, CA. We’re less than a month away from the big event (22 days, to be exact!). SOLIDWORKS World 2017 kicks off on February 5 in sunny Los Angeles, CA. It’s finally settling in that SOLIDWORKS World 2016 is officially over. We have to wait a whole year to have that much fun with our customers, coworkers and partners at SOLIDWORKS. 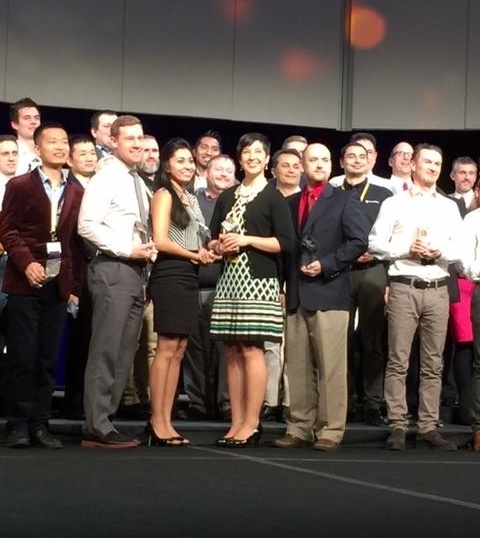 Part of what makes SOLIDWORKS World so great is interacting with customers, getting sneak peeks of the newest SOLIDWORKS products and, of course, celebrating the accomplishments of the TriMech engineering team. This year was particularly significant. In addition to hosting SOLIDWORKS trainings, answering your technical support calls and visiting our clients for product demos, our application engineers worked tirelessly to expand their skills to better serve you. One of the ways we measure our progress is by earning SOLIDWORKS certifications. 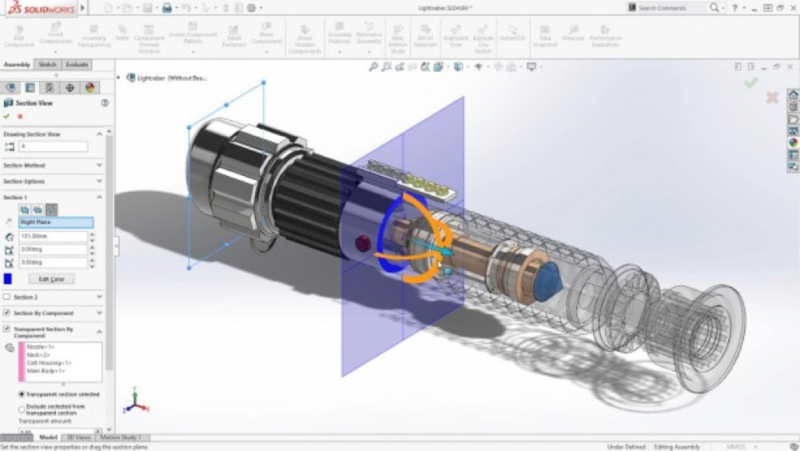 Every year at SOLIDWORKS World, the Product Introduction Team teases us with a long list of new enhancements to look forward to in the next release of SOLIDWORKS. This year was no different. 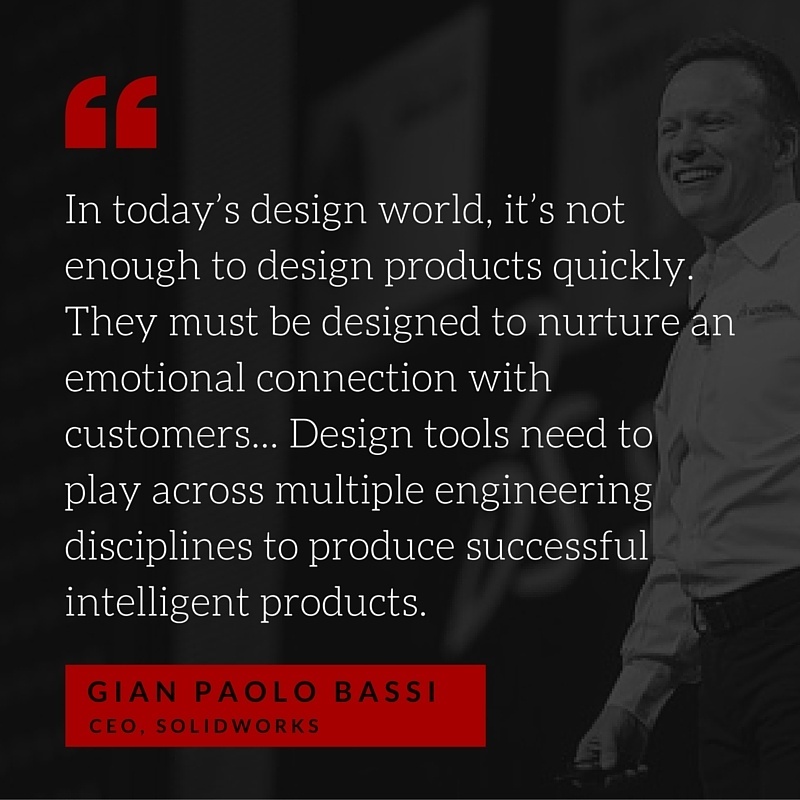 SOLIDWORKS World 2016 may be over, but our team is fired up to build, create and do great things in 2016. It was a whirlwind from start to finish. From social events, BBQ and networking to hands-on breakout sessions and new product previews, we barely had time to sleep! I can’t believe it’s over already. 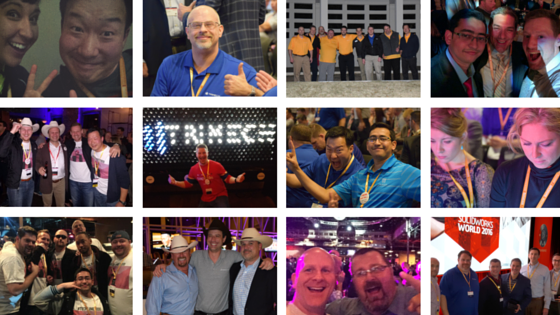 SOLIDWORKS World 2016 went by like a flash! In just three short days, the TriMech team and more than 5,000 of our peers attended hundreds breakout sessions on topics ranging from design automation and electrical design to simulation and product data management. Many of our own engineers hosted breakouts at this year’s event. But our AEs weren’t the only ones showcasing their knowledge. Our clients were out in force, leading several technical sessions on CAD technology, SOLIDWORKS MBD and more. Mike Sveda, CAD Administrator and Mechanical Designer at ABCO Automation, shared 18 years’ of SOLIDWORKS experience during two breakouts on Tuesday and Wednesday.